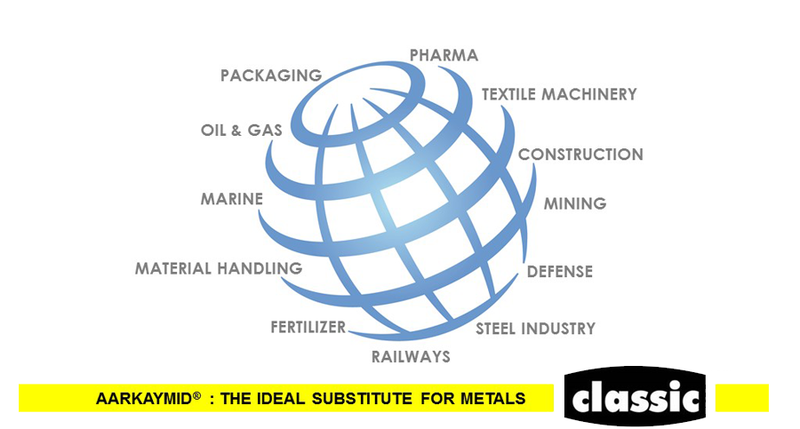 ‘CLASSIC POLYMERS & RESINS’ established since 1980 is one of the leading Manufacturer & Exporter of Engineering Plastics. Our Name has become synonymous with ‘QUALITY AND APPLICATION DEVELOPMENT’ though continuous R & D and strictly monitored Quality Production Programs. Most of the Polymers are substituting metals in different applications. We can suggest the right grade and quality to meet your requirements and working conditions. Stock sections viz: Rounds, Plates, Bushes, Sheets are available in natural and filled grades. Custom – made components are also done.